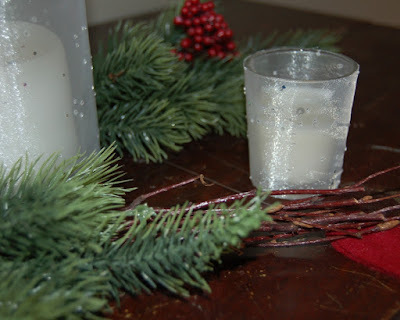 Take the Side Street: My Christmas "mantel"
Hi. My name is Anna, and my house is mantel-less. Phew, I'm glad we got that out of the way. Am I the only mantel-less lady who has miniature pity parties when confronted with photos of beautifully decorated mantels? I sure hope not. 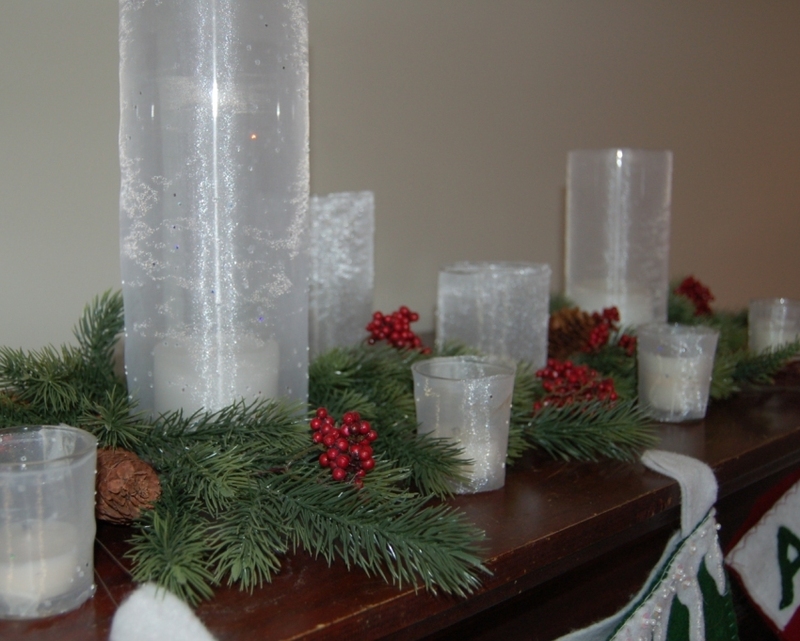 This year I decided to dress up the top of my upright grand piano and make it a mantel. Sort of. See, I don't like a lot of things on top of pianos -- while I was growing up, this very piano had approximately 253 dusty picture frames on top of it, which scarred me for life -- so I knew I wanted something simple. I made the fabric-covered cylinders last year after reading this post at Thrifty Decor Chick. It just took sheer fabric and some double sided tape. And some deep breaths to calm my neurotic self when it didn't turn out perfectly. Pfft. That was so last year. Very overrated, that 'perfect' thing. The greenery I found at Michael's last year for a few dollars. 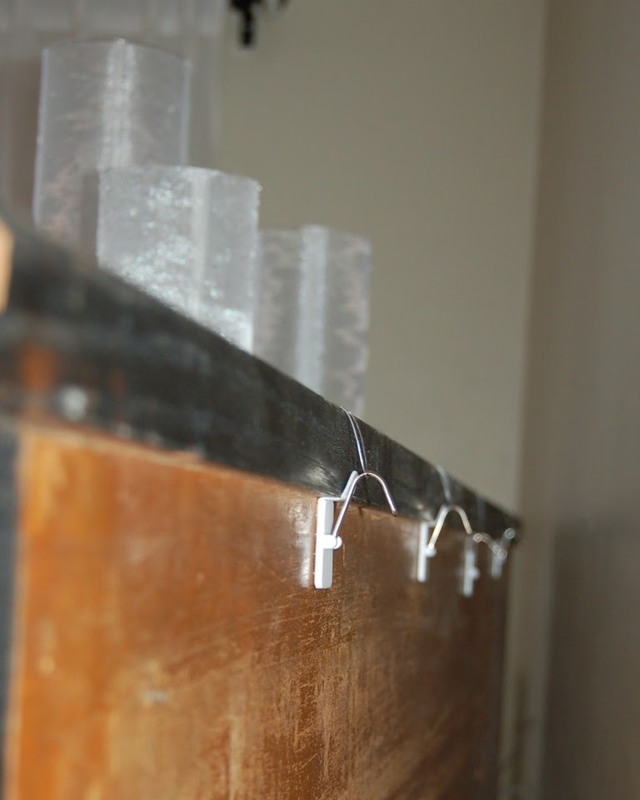 I brought it home and hacked it up with a wire cutter so I could stick it into all the little nooks and crannies between cylinders. 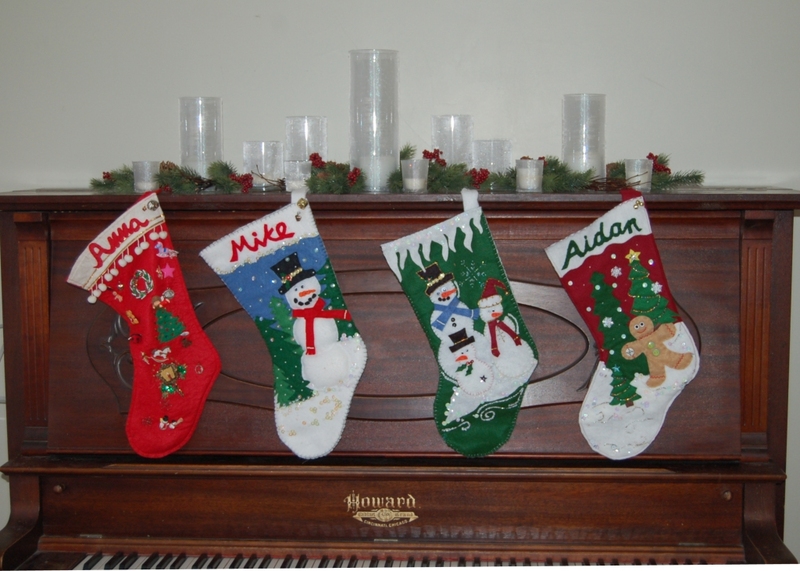 I'm pretty happy with the end result, even with our mistmatched stockings! UPDATE: Check out our new stockings here! 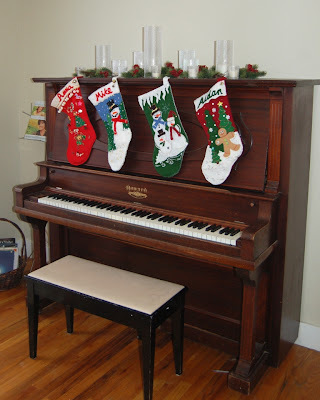 I'll have to swing the stockings out of the way if I put music on the piano, and I'll need to leave Santa a pair of scissors so he can cut them down to fill them... but I'm okay with that. Speaking of Santa... if you're reading this, all I want for Christmas is some MDF. Those walls? Board and batten, my friends... coming to a room near me in early 2011. Hey Anna, I'd just as soon have a piano as a mantle! Looks great! 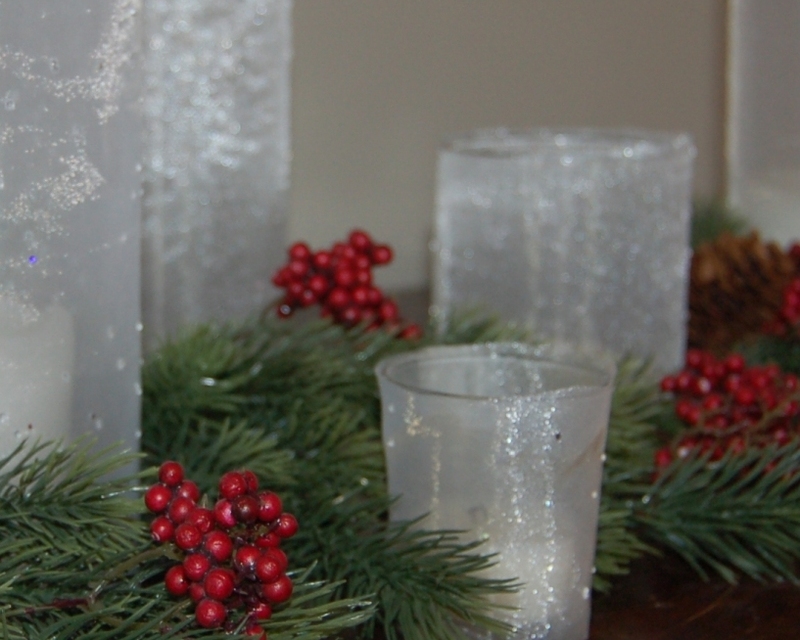 I’m hosting an Christmas Open House on 12/9…would love to have you come by and join in on the fun! Who needs a mantle? :) I love what you did, looks beautiful! The garland is looking really cute! First, i love the name of your domain which is very simple, short and easy to remember. 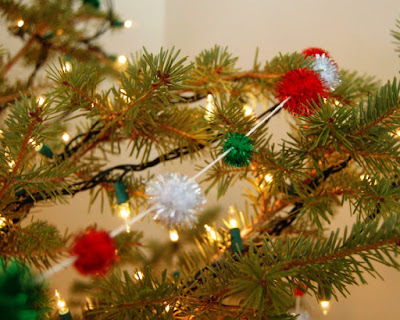 Now in this post, You have shared some ideas to make the Christmas day more enjoyable. Well! I want uk essays reviews but at the same time i felt we should follow these ideas and that big day remember able. تريد أن تعرف المزيد عن علامات النمل الأبيض؟ اقرأ مدونتنا السابقة عن كيفية اكتشاف العلامات السبعة التي قد تكون لديك مشكلة النمل الأبيض.